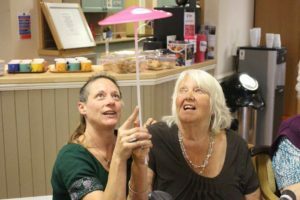 Who said circus skills are just for kids? 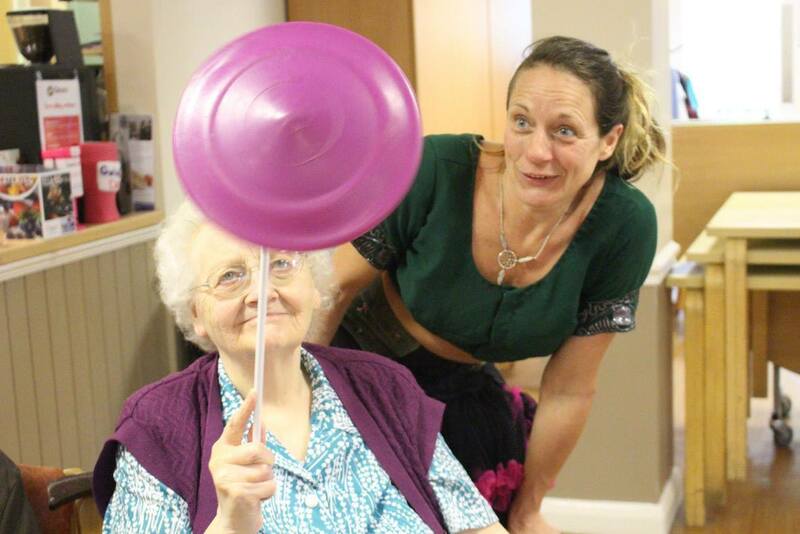 There is a growing call in the community for the elderly to have access to circus skills. Poi Passion hosts very popular workshops in care and nursing homes across Sussex and surrounding areas. With fun, interactive movements and a show performed by the workshop leader (and the students if they want!) this is a great way to get the elderly moving, laughing, playing and dancing with motivation and love. Wheel chairs aren’t a problem as there’s no standing needed! Gentle Juggling – Throw and catching games with Juggling Balls and Scarves. Plate Spinning – Spin and learn tricks with plates. Gym Ribbon – Great to sit and make patterns with. Workshop length – 1 ½ hours £125 Worthing and Sussex only. All our teachers are fully CRB /DBS certified, first aid trained. Poi Passion holds Public Liability Insurance of £10 million. We operate a thorough child protection, photo disclosure and disability integration policy as well as full workshop risk assessment. We are dedicated to working within our client’s budget delivering a fun, exciting, exclusive, colourful, mixed skilled workshop.